3. The respondent herein filed suit No.59/2013 before Andhra Pradesh State Wakf Tribunal at Hyderabad seeking cancellation of the sale deed dated 12.1.2013 in respect of the land bearing Survey No.113 admeasuring 4 acres 72 cents situated at Pernamitta village, Prakasam District, State of Andhra Pradesh. Certain consequential reliefs are also sought for. It is the case of plaintiff that Survey Nos.112 and 113 to an extent of 18 acres 88 cents situated at Pernamitta village were notified in the Official Gazette of Wakf Board dated 28.6.1962 at serial No.966 and were also surveyed by the Survey Commissioner appointed under the provisions of the Wakf Act. The part of Survey No.113 to an extent of 4 acres 72 cents was purchased by the defendant through the sale deed dated 12.1.2013 executed by Mr. Alluri Koteshwar Rao (Defendant No.6) in whose name property was standing. Plaintiff claims to be Mutwalli of the Wakf. The sum and substance of the plaintiff’s case is that the defendant Nos.1 to 5 have purchased the suit property from a private person though the said property is the Wakf property and therefore the sale deed dated 12.1.2013 does not convey any right, title or interest in favour of the defendants 1 to 5. 4. It is the case of the appellant/defendant No.1 that the property was and is not a Wakf property inasmuch as it was never notified as a Wakf property; though official gazette was published as back as on 28.6.1962, the property does not find place in the gazette notifying the same as Wakf property; it is a private property and that he had purchased the same through a valid sale deed. 5. During the pendency of suit, an application was filed by the defendant Nos. 1 to 5 including the appellant herein under Order VII Rule 11 of the Code of Civil Procedure, 1908 (hereinafter called as ‘CPC’) for rejection of plaint. The said application was allowed by the Wakf Tribunal on 8th March, 2016. On revision by the plaintiff, the order of rejection of plaint passed by the Wakf Tribunal is set aside by the High Court. 6. Learned counsel for the appellant taking us through the impugned judgment of the High Court submitted that this is a fit case wherein the plaint ought to be rejected at the threshold inasmuch as the plaint does not disclose any cause of action and the suit is barred by law. The property in question is not notified in the Gazette as a Wakf Property at any point of time till this date and hence it is not open for the respondent to file this suit on the presumption that the property in question is a Wakf property. Since the property is not a Wakf property, the Wakf Tribunal has no jurisdiction to entertain the suit. That though the notification issued containing the list of certain Wakf properties was gazetted by the Wakf Board as early as in the year 1962, the High Court is not justified in raising doubt in the year 2013 about such notification which had been remained unchallenged for more than 50 years. It is not open for the respondent to generate the litigation only to harass the appellant. 7. 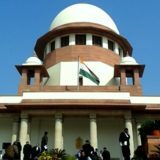 Per contra, advocate for the respondent submitted that though the gazette notification did not contain the property in question as a Wakf property, the Survey Report disclosed the property in question as a Wakf property and therefore the defect while publishing the Gazette notification needs to be rectified. He submitted that the High Court is justified in passing the impugned judgment after verifying the records and therefore, it is not a fit case for rejecting of plaint at the threshold. 8. The plaint can be rejected under Order VII Rule 11 if conditions enumerated in the said provision are fulfilled. It is needless to observe that the power under Order VII Rule 11, CPC can be exercised by the Court at any stage of the suit. The relevant facts which need to be looked into for deciding the application are the averments of the plaint only. If on an entire and meaningful reading of the plaint, it is found that the suit is manifestly vexatious and meritless in the sense of not disclosing any right to sue, the court should exercise power under Order VII Rule 11, CPC. Since the power conferred on the Court to terminate civil action at the threshold is drastic, the conditions enumerated under Order VII Rule 11 of CPC to the exercise of power of rejection of plaint have to be strictly adhered to. The averments of the plaint have to be read as a whole to find out whether the averments disclose a cause of action or whether the suit is barred by any law. It is needless to observe that the question as to whether the suit is barred by any law, would always depend upon the facts and circumstances of each case. The averments in the written statement as well as the contentions of the defendant are wholly immaterial while considering the prayer of the defendant for rejection of the plaint. Even when, the allegations made in the plaint are taken to be correct as a whole on their face value, if they show that the suit is barred by any law, or do not disclose cause of action, the application for rejection of plaint can be entertained and the power under Order VII Rule 11 of CPC can be exercised. If clever drafting of the plaint has created the illusion of a cause of action, the court will nip it in the bud at the earliest so that bogus litigation will end at the earlier stage. 9. In order to prima facie satisfy his case as pleaded in plaint that the Suit property is a Wakf property, the plaintiff produced certain documents including Gazette Notification dated 28.06.1962. The averments in the plaint disclose that the property bearing Survey No. 113 situated at Pernamitta village was notified as Wakf property under Serial No. 966 in the Official Gazette published by Andhra Pradesh State Wakf Board on 28.06.1962. On verification of the Gazette Notification, the Wakf Tribunal has concluded that under Serial No. 966 (Page No.742) the property attached to Ashoorkhana situated at Kolachanakota village was shown and not the property belonging to Pernamitta village. The name of the plaintiff was also not shown as Mutwalli. The property in question is situated in Pernamitta village, whereas the Gazette which is relied upon shows that the survey no. 113 is situated at a different village which is stated to be far away (about 20 kms.) from village Pernamitta. There is one more Ashoorkhana situated at Pernamitta village which is not the subject matter of this litigation. List of wakf properties pertaining to Pernamitta village does not contain the property in question. The Tribunal, on facts, thus has concluded that property in question does not find place in the Official Gazette of the Wakf Board. The High Court also concurs with the Wakf Tribunal in that regard. Thus, there are concurrent findings of fact that property in question was not notified in Official Gazette as a Wakf property, as alleged by the plaintiff/respondent. 10. The High Court though has agreed with the finding of fact arrived at by the Tribunal that the property was not notified as Wakf property in the Official Gazette, raising some doubt about the non-inclusion/inclusion of the property in the Survey Commissioner’s Report, erroneously has proceeded to set aside the order of the Tribunal. 11. As mentioned supra, notification containing the list of Wakf properties relied upon by the plaintiff was published in Gazette as back as on 28.06.1962 as per the provisions of Section 5 of Wakf Act, 1954 (hereinafter, in short, called as 1954 Act) which is subsequently replaced by the Waqf Act, 1995 (hereinafter, in short, called as 1995 Act). Before proceeding further, it would be beneficial to note the certain relevant provisions contained under the 1954 Act as well as 1995 Act for the purpose of deciding this matter. 12. A bare reading of the afore-quoted provisions (relevant provisions for the purpose of this matter) contained in 1954 Act and 1995 Act, makes it manifestly clear that the provisions, which are relevant for this case are almost parimateria with each other. 13. Section 4 of 1954 Act, empowered the State Government to appoint a State Commissioner, and as many Additional and Assistant Survey Commissioners of Wakf as may be necessary, by a notification in the Official Gazette for the purpose of making survey of wakf properties existing within the State. The Survey Commissioner after making a survey of wakf properties would submit his report to the State Government containing various particulars as mentioned in sub-sections (3) and (4) of Section 4 of the Act. Section 5 of 1954 Act mandated that on receipt of such report from Survey Commissioner made under sub-section (3) of Section 4, the State Government should forward a copy of the same to the Wakf Board. The Wakf Board would examine the report forwarded to it and publish in Official Gazette, the list of Wakfs in the State. For resolving the disputes regarding Wakfs, Section 6 of 1954 Act, provided jurisdictional Civil Court as a forum and decision of Civil Court in respect of such matters should be final. It was also clarified that no such suit should be entertained by the Civil Court, after the expiry of one year from the date of publication of the list of Wakfs as per sub-section (2) of Section 5. Sub-section (4) of Section 6 stated that the list of Wakfs published under sub-section (2) of Section 5 shall be final and conclusive unless such list is modified on the direction of the Civil Court. 14. The provisions found in Sections 5 and 6 of Wakf Act 1995 and Act of 1954 are almost akin to each other. However the change brought in by the Parliament under 1995 Act is that, in the case of dispute regarding Wakfs, the aggrieved party needs to approach the Wakf Tribunal constituted under Section 83 of the Waqf Act 1995 and consequently the jurisdiction of the Civil Court is taken away. Except the aforesaid change, no other substantial modification is found in those provisions. Section 7 of 1995 Act empowers the Tribunal to determine the disputes, regarding Auqaf/Wakfs, the particulars of which are specified therein. 15. Section 6 and Section 7 of Waqf Act 1995 bars jurisdiction of the Civil Court to try the civil suit in respect of questions specifically enumerated under those provisions. Section 85 of Waqf Act, 1995 further clarifies that no suit or other legal proceeding shall lie in any civil court, revenue court and any other authority in respect of any dispute, question or other matter relating to any wakf, wakf property or other matter which is required by or under this Act to be determined by a Tribunal. 16. The overall view of the aforementioned provisions contained in Wakf Act, 1954 and Waqf Act 1995 make it evident that even under 1954 Act, as in 1995 Act, the Survey Commissioners were appointed for the purpose of making survey of wakfs in State. The Survey Commissioner was duty bound to conduct the survey of wakfs in the State and after making such enquiry, as he might consider necessary, would submit his report in respect of Wakfs existing in the State to the State Government with necessary particulars. Copy of the said report would be forwarded by the State to the Wakf Board which in turn would examine the report by applying its mind and thereafter would publish the notification. Whereas under 1995 Act, the Wakf Board after examining the report forwards it back to Government within a period of 6 months for publication in the Official Gazette in the State. Pursuant thereto the State will publish the Gazette notification. The revenue authorities will consequently include the list of Auqaf properties while updating the revenue records under sub-section (3) of Section 5 of 1995 Act. 17. Thus it is amply clear that the conducting of survey by the Survey Commissioner and preparing a report and forwarding the same to the State or the Wakf Board precedes the final act of notifying such list in the official gazette by the State under 1995 Act, (it was by the Board under 1954 Act). As mentioned supra, the list would be prepared by the Survey Commissioner after making due enquiry and after valid survey as well as after due application of mind. The enquiry contemplated under sub-section (3) of Section 4 is not merely an informal enquiry but a formal enquiry to find out at the grass root level, as to whether the property is a Wakf Property or not. Thereafter the Wakf Board will once again examine the list sent to it with due application of it’s mind and only thereafter the same will be sent to Government for notifying the same in the Gazette. Since the list is prepared and published in the official Gazette by following aforementioned procedure, there is no scope for the plaintiff to get the matter reopened by generating some sort of doubt about Survey Commissioner’s report. Since the surveyor’s report was required to be considered by the State Government as well as Wakf Board (as the case may be), prior to finalisation of the list of properties to be published in the Official Gazette, it was not open for the High Court to conclude that the Surveyor’s report will have to be reconsidered. On the contrary Surveyor’s report merges with the Gazette Notification published under Section 5 of the Wakf Act. 18. As held by the Tribunal as well as the High Court, the property in question does not find place in the Gazette notification published under Section 5 of the Wakf Act. In other words, the property in question is not notified in the official Gazette as Wakf property. If anybody including the Wakf Board or the plaintiff was aggrieved by such non-inclusion of the property in the list notified, the aggrieved person should have raised the dispute under Section 6 within a period of one year from the date of publication of the Gazette notification in the matter. The plaintiff has practically questioned the non-inclusion of the property in the list and the validity of the list notified in the official gazette dated 28.06.1962 after the lapse of about 50 years, i.e. in the year 2013 by filing the present suit. 21. In the matter on hand, the said provision also will not come to the aid of the plaintiff inasmuch as the said sub-section can be employed only if survey of auqaf was not done before the commencement of Wakf (Amendment) Act, 2013. Admittedly in the matter on hand, the survey was conducted prior to 1962 and based on such Surveyor’s report only, the list was prepared and the same was submitted to State Government, which in turn, was forwarded to Wakf Board, the Wakf Board after examining the report published the list in the official gazette in the year 1962. Hence, sub- section (1A) of Section 4 also will be of no avail to the plaintiff. 22. In the matter on hand, as mentioned supra, the Tribunal and the High Court, on facts have held that the property in question is not included in the list published in the Official Gazette as a wakf property. Such non- inclusion was never questioned by any person including the Wakf Board. The Board has not exercised jurisdiction under Section 27 of 1954 Act and Section 40 of 1995 Act, though 50 years have elapsed from the date of the gazette notification. Hence, in our considered opinion, the averments in the plaint do not disclose the cause of action for filing the suit. The suit is manifestly meritless and vexatious. So also the suit is barred by law for the reasons mentioned supra. 23. 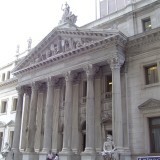 In view of the above, the Order of the High Court is liable to be set aside. Accordingly, the same stands set aside. Appeal is allowed. The order of the Wakf Tribunal is restored. No costs.